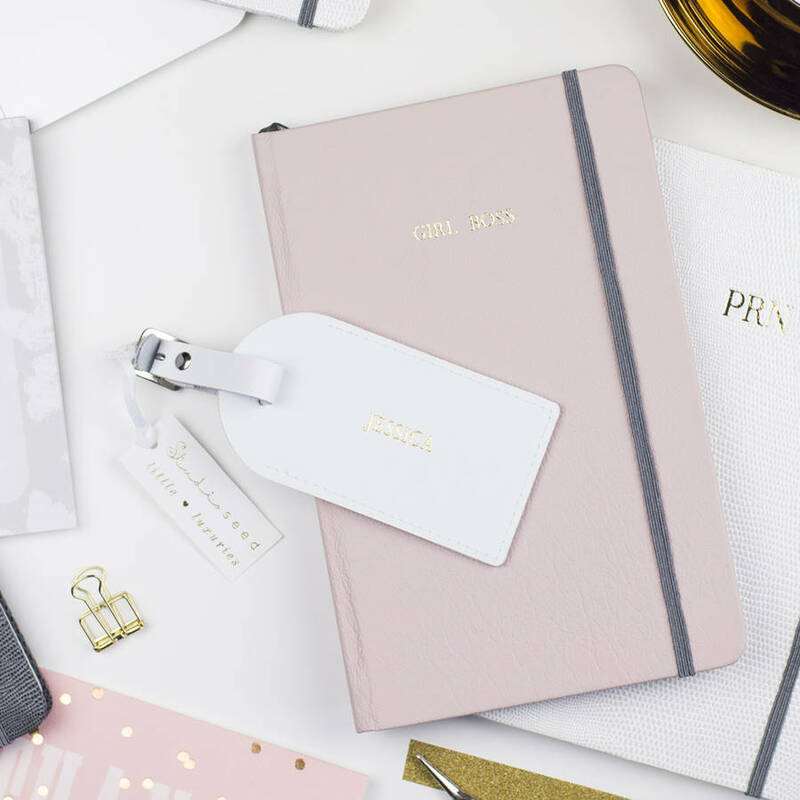 Celebrate small in a big way this year with a Personalised Luxury Gift For Her from Notonthehighstreet.com, offering a range of unique gift ideas for that special someone in your life, from their network of creative small business partners from across the UK. To save you some precious time this Christmas, we have handpicked our favourite gifts for her from Notonthehighstreet. Our hot picks include Personalised Jewellery, Fashion and Accessories, including a luxury leather travel organiser, rose gold nail kit, glass jewellery box and a matching watch and bracelet set. All of which are guaranteed to hit the spot, and leave you feeling smug on Christmas day. The ‘best present award’ goes to…. This super stylish luxury leather travel tech case is made from soft Spanish leather with Italian suede lining. 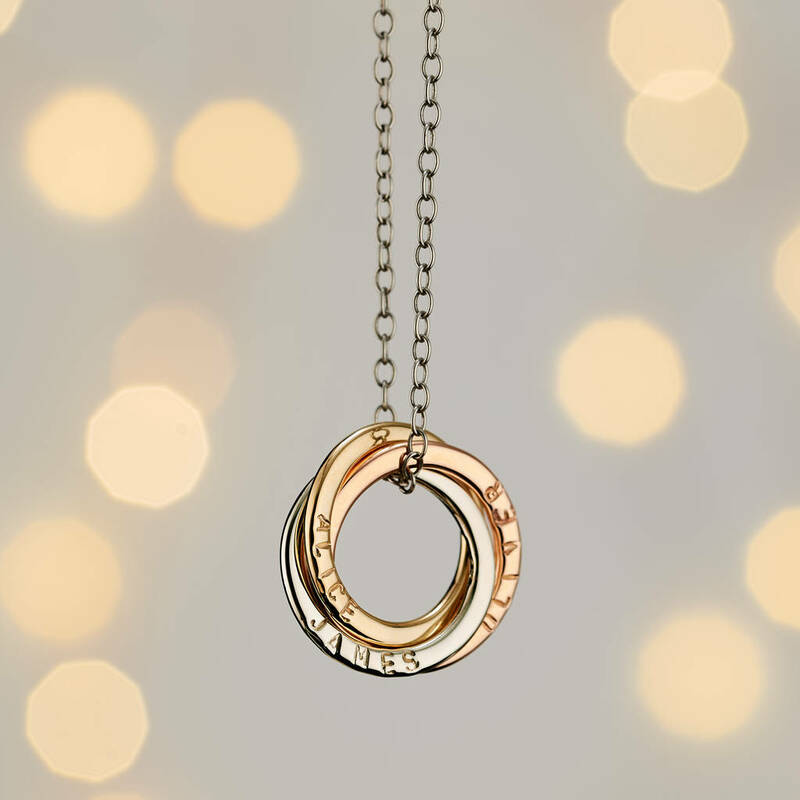 Personalise with embossed initials for a truly exceptional gift for her. Beautifully and expertly handcrafted, this Russian ring necklace combines 9ct white gold, yellow gold and rose gold. Personalise each ring with a name for a gift to be cherished. 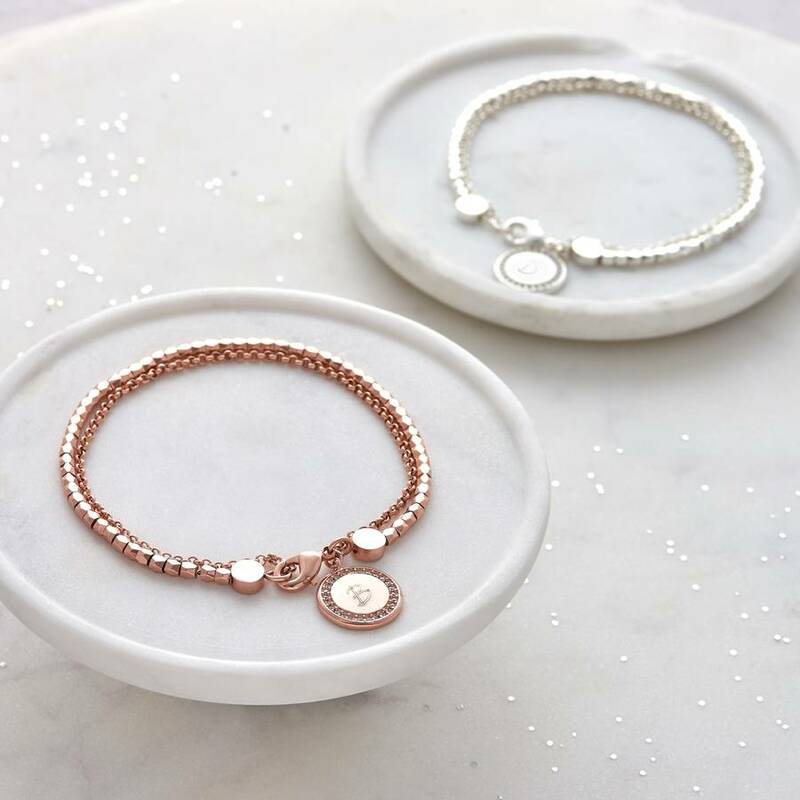 A distinctive double strand bracelet, available in a choice of silver or rose gold, personalise the sparkly round pave charm with a letter, initials or a heart for that special someone. 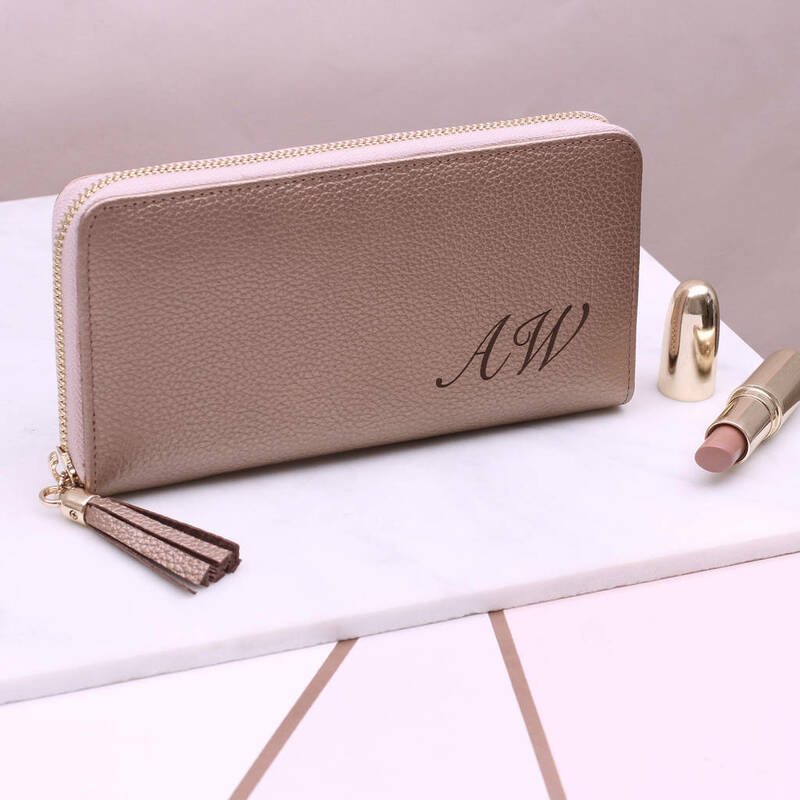 Made from luxury Italian leather, this ladies purse comes in a range of on-trend colours including rose gold and gunmetal grey and is personalised for free by master engravers. 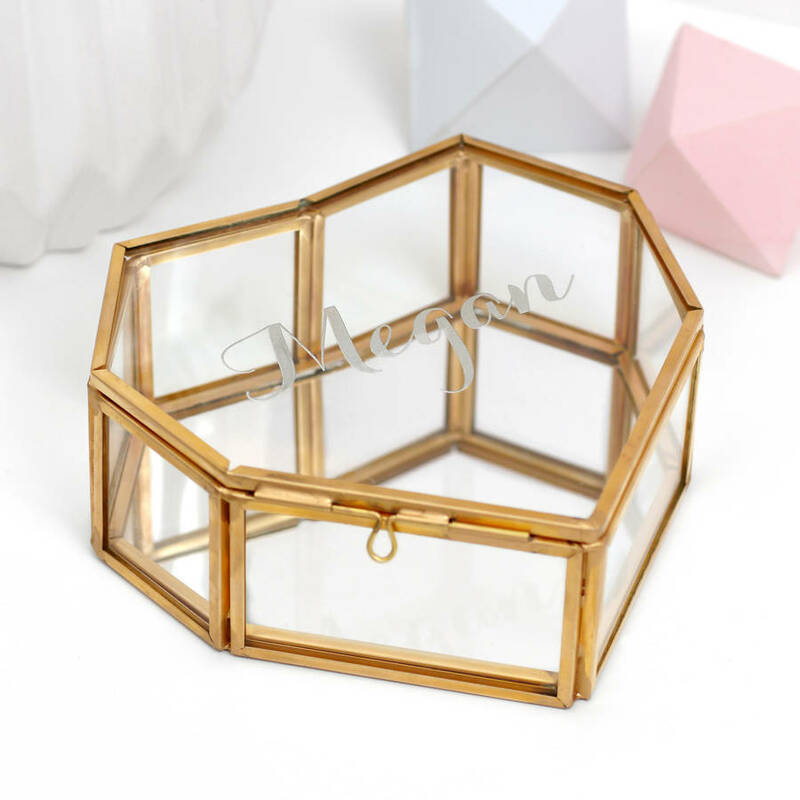 A thoughtful gift that will look lovely placed on any dressing table, this hinged glass jewellery box is available in gold or rose gold and includes a hand-etched name in silver. 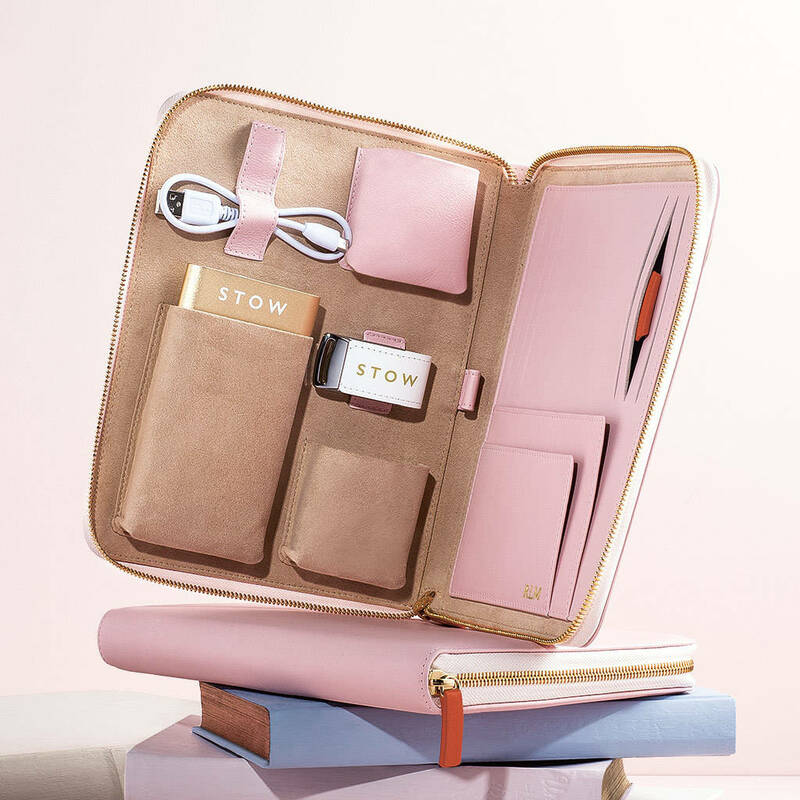 Who doesn’t love posh stationary? This genuine high-quality leather notebook is available in rose pink or dove grey and can be personalised metallic silver, gold or rose gold foil. 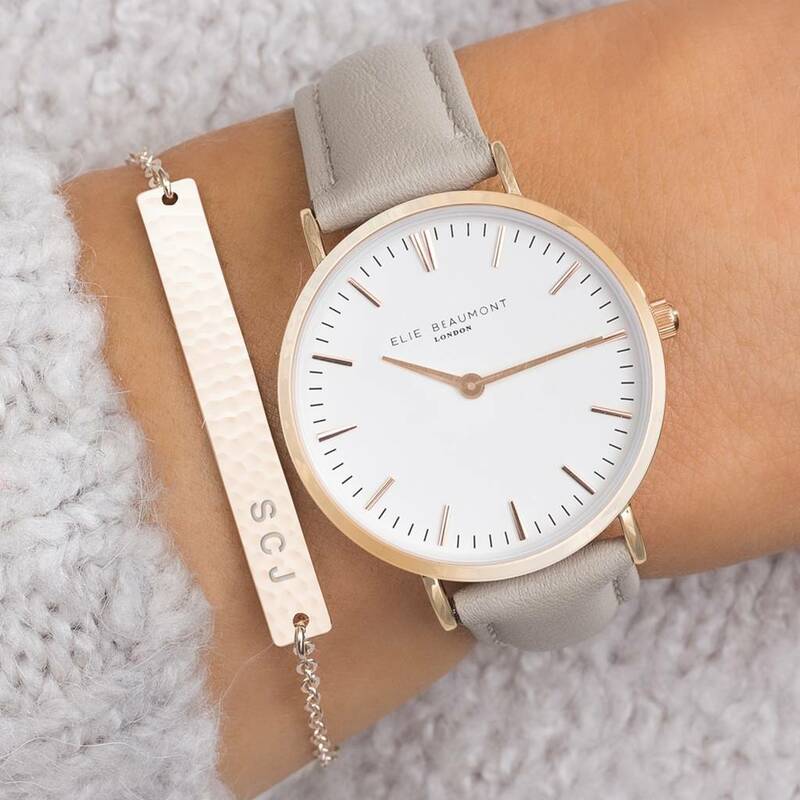 Two gifts in one, the Ellie Beaumont watch and hammered bar bracelet can both include special engravings, perfect for any fashionista who loves the layered jewellery look. 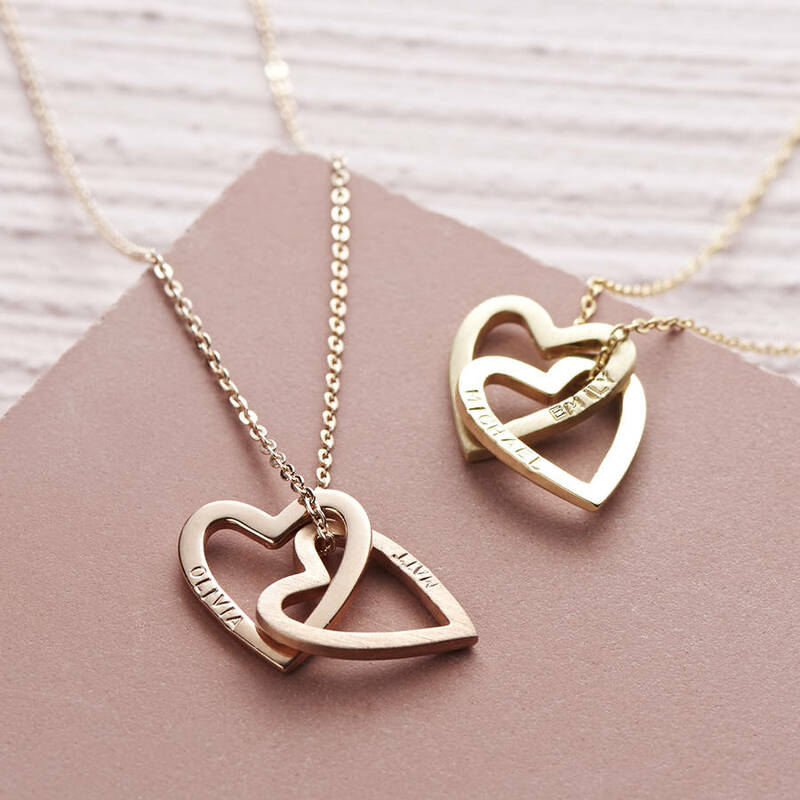 Handmade in the UK, this gorgeous necklace available in solid gold or rose gold, features two interlocking hearts, both of which can be personalised with your choice of names. 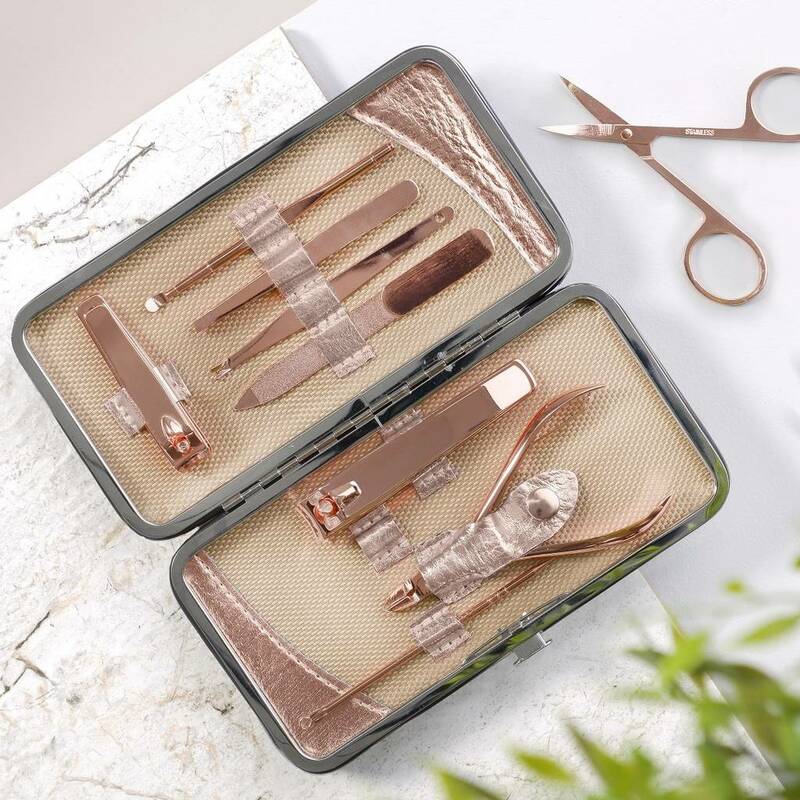 Whether used as a travel set or part of her everyday kit makeup kit, this rose-plated stainless steel manicure set with personalised faux leather case is a wonderful gift idea. These soft 100% cotton sky-blue ladies pyjamas are perfect for wearing all year round and can be personalised with navy embroidered initials on the front or across the back.